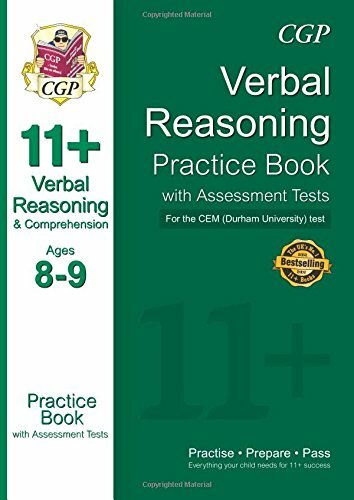 This book contains a huge range of Verbal Reasoning and Comprehension practice questions for ages 8-9, all in the style of the 11 Plus test set by CEM (Durham University). The first section is focused on specific topics to develop understanding and confidence. This is followed by Assessment Tests that help to improve speed and accuracy across a wide range of questions., Fully explained answers to every question are included in a pull-out section, so it's easy to check children's progress and correct any mistakes.